Jennifer Garner is an American actress and film producer, more known for her work on television in the series ‘Alias’. 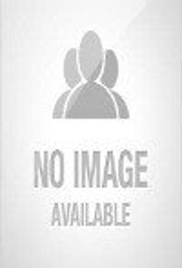 This biography offers detailed information on her childhood, life, achievements and timeline. Jennifer Ann Garner is an American TV and film actress and film producer. She achieved her share of fame through the famous spy thriller television series by J.J. Abrams - ‘Alias’. She played the role of ‘Sydney Bistrow’ in the series and instantly became the darling CIA agent of American television. Her portrayal of the character was so realistic and relatable that she was many times nominated for the Golden Globe award and was awarded the Screen Actors Guild Award. With recognition on television, she started making her presence felt in Hollywood with small cameos that she did in movies like, ‘Catch Me If You Can’, ‘Pearl Harbor’, etc. She got her breakout role in the movie ‘Daredevil’, an adaptation of the comic book story, in which she worked along with her future husband, Ben Affleck. From then onwards Garner started getting lead roles in the movies. She has been appreciated for her charming and simple depiction of variety of characters in these movies. Garner is married to actor, director and producer Ben Affleck and has three children with him. Jennifer Garner was born in Houston, Texas, to Patricia Ann and William John ‘Bill’ Garner. Her father was a chemical engineer and mother was an English teacher. She was brought up in West Virginia. Garner started taking ballet lessons from the age of 3 and danced until her youth but did not want to become a dancer. She was raised in a conservative environment which required her to visit church every Sunday. She attended the George Washington High School in Charleston and later went to the Denison University to study Drama. Initially she did not want to be an actor and wanted to be a doctor or librarian instead. Since she involved herself with the study of drama, Garner became more curious about acting and curiosity landed her roles in Atlanta productions of two Shakespeare plays, ‘The Merchant of Venice’ and ‘A Midsummer Night's Dream’ in 1994. In 1995, she became an understudy in the play ‘A Month in the Country’ for Roundabout Theatre Company. She soon landed a role in made-for-television movie ‘Zoya’ and briefly appeared in ‘Spin City’ and ‘Law & Order’. Since Garner was now being noticed in the industry, she got her first big screen appearance in the movie, ‘Dude, Where’s My Car?’ in 2000 and the following year played a supporting character in ‘Pearl Harbor’. In 2001, J. J. Abrams approached Garner for the role of ‘Sydney Bristow’ in his new spy drama ‘Alias’. She was reluctant in the beginning as the role demanded her to be physically strong but she bagged the role. 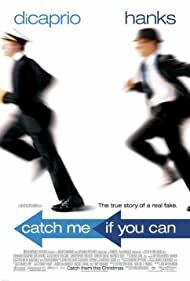 She did a cameo in Steven Spielberg’s movie ‘Catch Me if You Can’ along with Leonardo Di Caprio and Tom Hanks. It was on the special request of Spielberg that Garner accepted the small but significant role in the movie. In 2003, she got her breakout role in the movie ‘Daredevil’. Garner played the character of ‘Elektra Natchios’, the love interest of Ben Affleck’s character. ‘Daredevil’ was an adaptation of the comic book. All these movies and the media accolades that Garner earned with her show ‘Alias’, got her the lead role in the movie ’13 Going on 30’ in 2004. Her performance in the movie was appreciated. 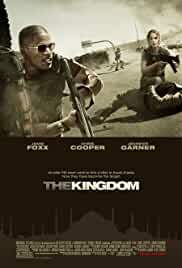 From 2006-2007, Garner got prominent roles in the movies, ‘Catch and Release (2006)’, ‘The Kingdom (2007)’ along with Jamie Foxx, Jason Bateman, etc. and ‘Juno (2007)’. ‘Juno’ did exceptionally well and her performance was critically acclaimed. In 2007, she made her Broadway debut with ‘Cyrano de Bergerac’, based on the play with the same title written by Edmond Rostand, opposite Kevin Kline at the Richard Rogers Theatre. She played the role of ‘Roxanne’. Garner acted in the romantic comedy, ‘Valentine’s Day’ in 2010 along with a huge star cast, like, Ashton Kutcher, Julia Roberts, Patrick Dempsey, Bradley Cooper, Jessica Alba, etc. She played the role of a woman caught in a loveless relationship. In 2011 and 2012, Garner appeared in movies like, ‘Arthur (2011)’ with Russell Brand, ‘The Odd Life of Timothy Green (2012)’ and ‘Butter (2012)’. The same year she joined the Academy of Motion Picture of Arts and Sciences. 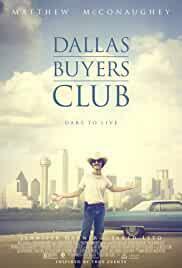 In 2013, she was seen alongside Matthew McConaughey in the biographical drama film 'Dallas Buyers Club'. The film was a box office and received rave reviews. In 2014, she starred opposite Kevin Costner in the sports drama film 'Draft Day'. 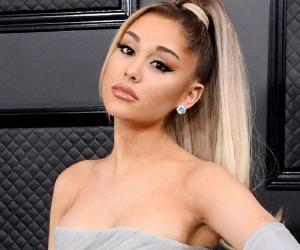 In the same year, she was also seen in the Disney adaptation of the popular children's book 'Alexander and the Terrible, Horrible, No Good, Very Bad Day'. In 2015, she played a supporting role in the comedy-drama film 'Danny Collins'. The film had Al Pacino and Annette Bening in the lead role. In 2016, Jennifer Garner played the lead role opposite Kevin Spacey in the comedy film 'Nine Lives'. 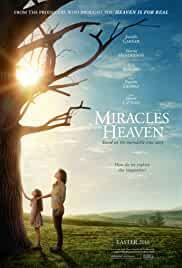 She was also seen in the Christian drama film 'Miracles from Heaven' in the same year. In 2017, she was seen in the movies 'Wakefield' and 'The Tribes of Palos Verdes'. The most prominent work of Garner’s career is ‘Alias’ which ran from 2001-2006. She played the role of ‘Sydney Bristow’ and won the Screen Actors Guild Award for ‘Outstanding Performance by a Female Actor in a Drama Series’. For ‘Alias’ Garner won the Screen Actors Guild Award for Outstanding Performance by a Female Actor in a Drama Series, received four consecutive Golden Globe Award for Best Actress – Television Series Drama nominations as well as Emmy Award nomination. In 2000, Garner got married to Scott Foley, whom she met on the set of ‘Felicity’. The couple got divorced in three years on the grounds of irreconcilable differences. Just a year after her divorce, she started dating Ben Affleck. 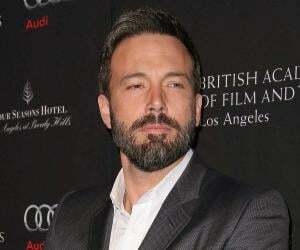 Garner and Affleck got married in 2005 a private ceremony in the Caribbean. 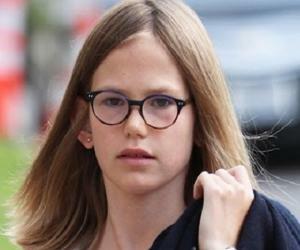 The couple has three children together: Violet Anne Affleck, Seraphina Rose Elizabeth Affleck and Samuel Garner Affleck. In 2015, Jennifer Garner and Ben Affleck announced their intention to divorce. In 2017, they filed legal documents to seek joint physical and legal custody of their children. At the time when Garner got married to Ben Affleck, she was four months pregnant. On the first day of the shoot of ‘Alias’ Garner told director, J.J. Abrams, ‘I don’t think I can do this’.